Cape Cod Morning (1950) by Edward Hopper. 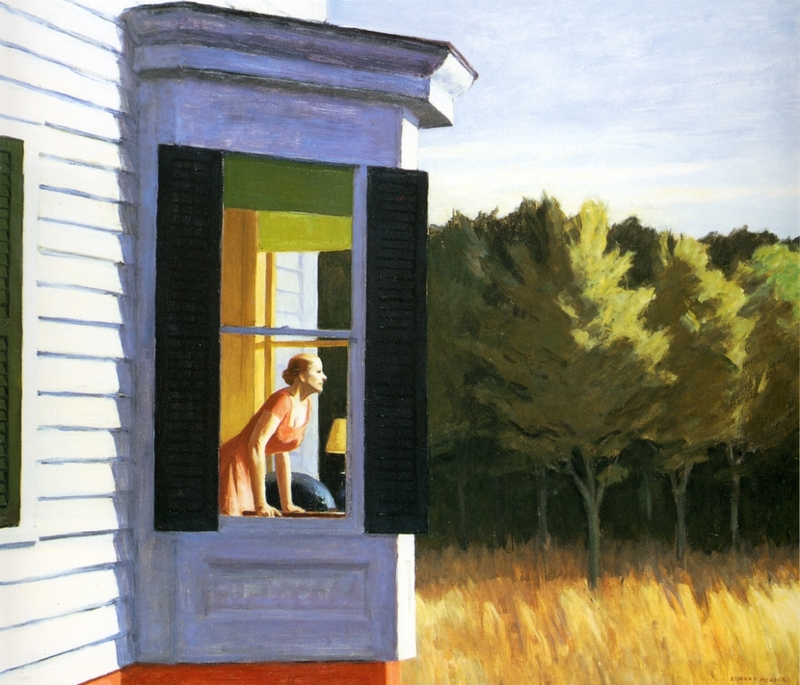 In Cape Cod Morning, we see a recurring Hopper theme, of life on the borderline between civilization and nature. A section of a house takes up the left side of the picture, from which a woman stares somewhat anxiously out of a bay window. On the right of the picture, we see the forest, close and menacing. Just as in 'Cape Cod Evening' (1939), the trees are almost threatening to advance and swallow up the house and its inhabitants, reclaiming for nature that which has been stolen from it. 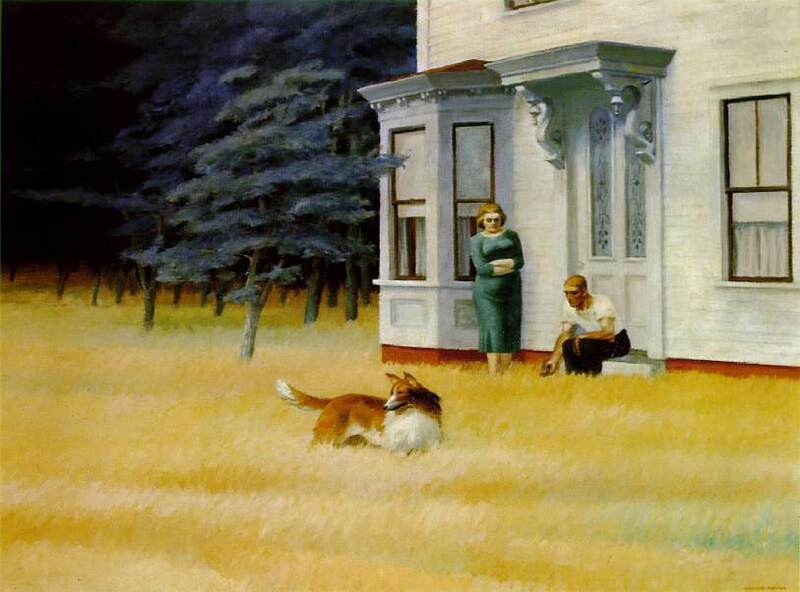 Cape Cod Evening (1939) by Edward Hopper.